Home >The Only Goal You Can’t Accomplish! Our longest running presentation with impact and lessons that will stay with you long after the presentation. 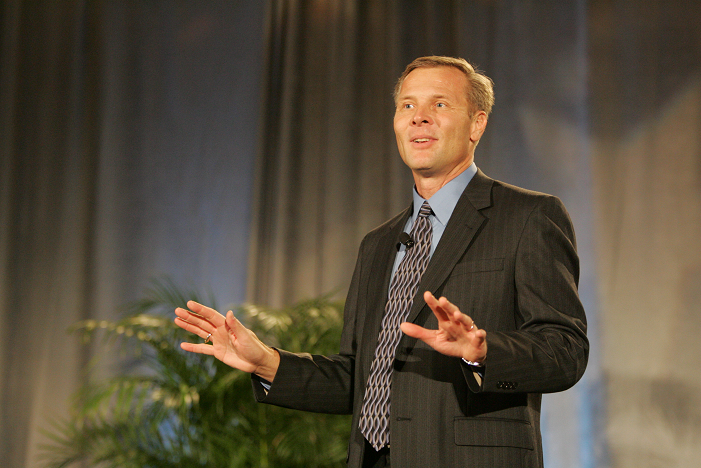 This keynote presentation is ideal for an energy-generating, rousting opening to any meeting. … Or as an inspirational finale that will leave you motivated and loaded up with tools to allow you to immediately work towards your professional calling and your personal legacy. This program is highly customized to the issues that your organization is experiencing. Through a comprehensive pre-program questionnaire and evaluation Vilis will customize this keynote to the business, meeting and conference goals of your organization. What do athletes have that allows them to train and accomplish their goals? (The truth is that you have it too!) Vilis shares the secrets of pro athletes and their personal motivation techniques that you can use to win and excel. Do you ever feel that making a change in your career or personal life would be too much like jumping off a cliff? Vilis shares stirring real-life metaphors for dealing with trepidation. entrenchment and fear of failure. In this presentation, Vilis shares enlightening business experiences, lessons learned as a professional volleyball player and as an NCAA coach that will leave you with an experience and a message you will not soon forget.